The woman nodded. "No problem. I think we've covered the major points anyway." "Agreed." Galahad nodded, "Any other details I can pick up along the way." He watches as Torque signs out of the interfaces he was using. "Pity. Would have liked to work alongside a Cybertronian. The very concept boggles the mind." "Says the guy who can wiggle his fingers and get people to do what he wants, toss cars with a gesture and given your comment about not asking the color, I'm betting you're also packing a funky glow stick." Hannibal looks around the table. "So just the four of us, or do you think maybe that the three of you stand a better shot? Smaller numbers, fewer backs to watch? Definitely my kinda shindig, but, yeah." "The four of us should do it." the girl grinned at Hannible. "I can do pretty much the same thing, only sans jedi mind trick and funky glow stick." she chuckled. "From what the cousins have told me, the two temples tend to cross-train quite a bit, since our abilities and general philosophy are very similar." she looked thoughtful. "I think I also remember that you guys also work well with Water Benders." You can see why the Jedi would be interested in studying with them. "Might be a good idea for one of us to stay on the outside." Long says. "We could need a cavalry if things go pear-shaped." "That works too." she nodded. "I would suggest that perhaps Hannibal or another agent go that route while the the three of us explore avenues inside." Galahad suggests, "We're a small enough group as it is, and splitting our forces reduces our chances of success." Long nods. "Okay, two days to establish ourselves as the leaders of a modest but elite group of mercenaries looking for enhancements and ways to make our 'vanilla' members more badass. I'll ask our tech guys to photoshop us into Croatia and a few other places and pepper the Dark Web with tales. We want to be flush enough to be considered serious bidders, dangerous enough to not be immediately taken out, and the threat of reprisal from our 'company' should make even the casual assassin take pause. I'll start working with Tech to do that." Long offers. "You two get dirtied up a bit." He looks at Galahad with a critical eye. "A tan and some scars would do you good." He looks to the young woman airbender. "And you need to watch Fury Road, like, 5 times in the next two days. And still you'll need one of the face-change masks. You're WAY too wholesome and our opponents have seen you." The young Jedi laughs at the comment about getting dirtied up. "Great ideas, Long. Ethan Hunt has nothing on you." Galahad will use the next 48 hours to do exactly as suggested, ensuring that he looks a little more rugged. "Also - Agents of SHIELD - where Fitz infiltrates the Lighthouse. Not for commentary on on overall quality, but just about his arrival and attitude. "Speaking of, anywhere we can arrange supply drops or caches, in case of emergency?" The girl laughed. "Too wholesome? Me?" she chuckled and sobered. "I'll see what I can do." she said and did as he suggested as well. //what are your characters doing - in short - during the next two days, if anything of note? Long is working with Torque and other technical experts to lay the background for the mercenary Company. Since they need pictures for photoshopping early, Long has chosen his disguise. It's perfect really. Ever since the Merge there have been literally thousands of these guys around, each with a reputation for military training and indoctrination. Despite a 'sameness', you can never be sure if you're dealing with one of middling members, or if the one you face is one of the total Bad-@$$es shown in the story-lines. 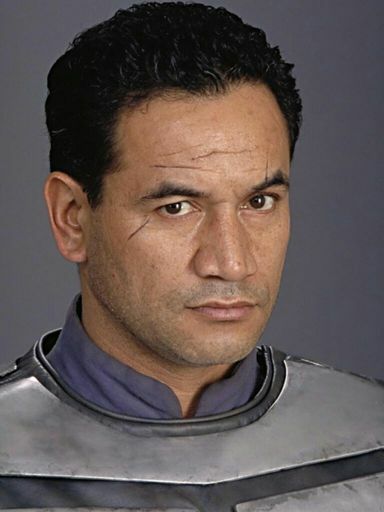 Clone Trooper, <number undisclosed>, Goes, ironically, by 'Hal', escaped Imperial service and explored his own 'empowerment'/genetic tampering/unique training as much to assert a measure of individuality as to gain power. Helped form the 'Sunset Mercenary Company*'. The Sunsetters are linked to several hot-spots in the world before seemingly taking up with an international firm (used for resource protection, industrial espionage and sabotage, and asset recovery/acquisition); the firm recently went bankrupt again freeing these 'assets' for employment. Hal and his two associates are looking for ways to enhance some of their other members before seeking employment elsewhere. The Sunsetters are known for adaptability, discretion, and intelligent application of force. * Long solicits other names if this one doesn't work for folk. Aislynn will help Long establish a backstory for them and figure out how to disguise herself and also spar-practice with Galahad and Long to get a feel on how to work together in a fight. "What are the communication abilities into and out of this rift? In case we need to call for back-up?" Long asks.